It's been revealed that ONE OK ROCK's Taka (Vo) participated in Simple Plan's song as a featuring artist. Their collaboration song, "SUMMER PARADISE feat. Taka from ONE OK ROCK", will be released on March 20th. "SUMMER PARADISE" is one of the tracks off of Simple Plan's album, "Get Your Heart On! ", which was released back in June of 2011. The song has also been released in different versions featuring Sean Paul and K'Naan. 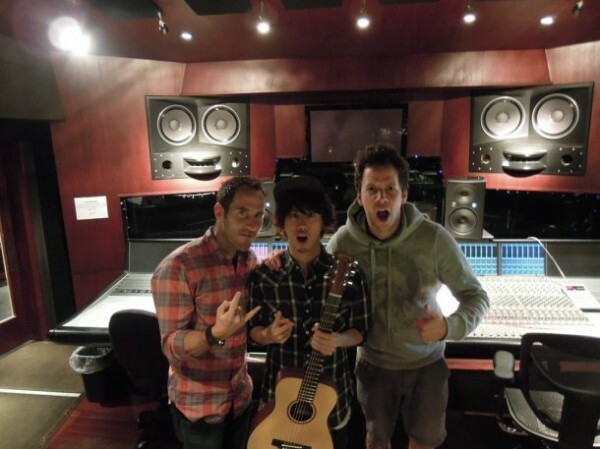 This time, the members of Simple Plan suggested to their label that they feature a Japanese artist and chose Taka. When Taka received the offer, he agreed willingly. The recording took place earlier in February in Los Angeles. With the direction of Pierre Bouvier (Vo), the recording proceeded in a relaxed atmosphere. "SUMMER PARADISE feat. Taka from ONE OK ROCK" will also be included in Simple Plan's 'Get Your Heart ON!�(Tour Edition)', which will be released on March 27th. Thanks to Anna for the tip!